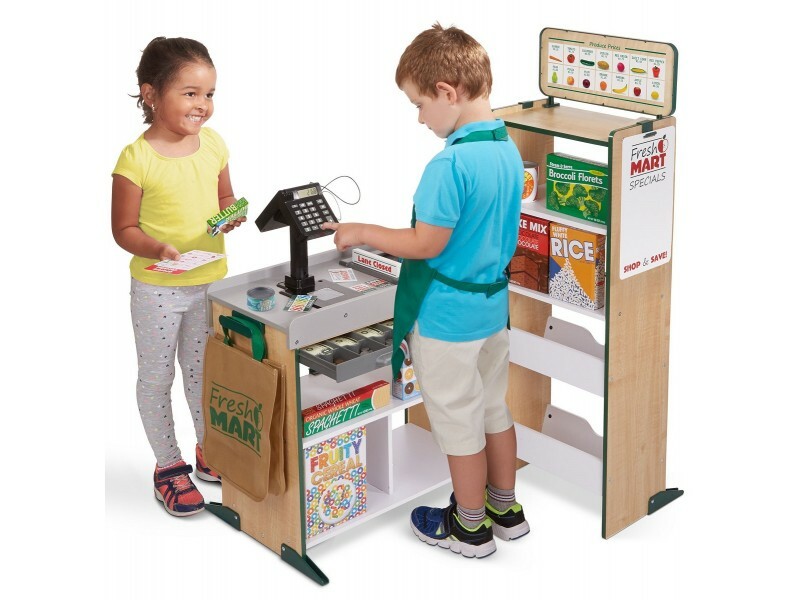 This great Fresh Mart Grocery Shop Bundle includes everything budding young grocers need to stock and run their own play shop. 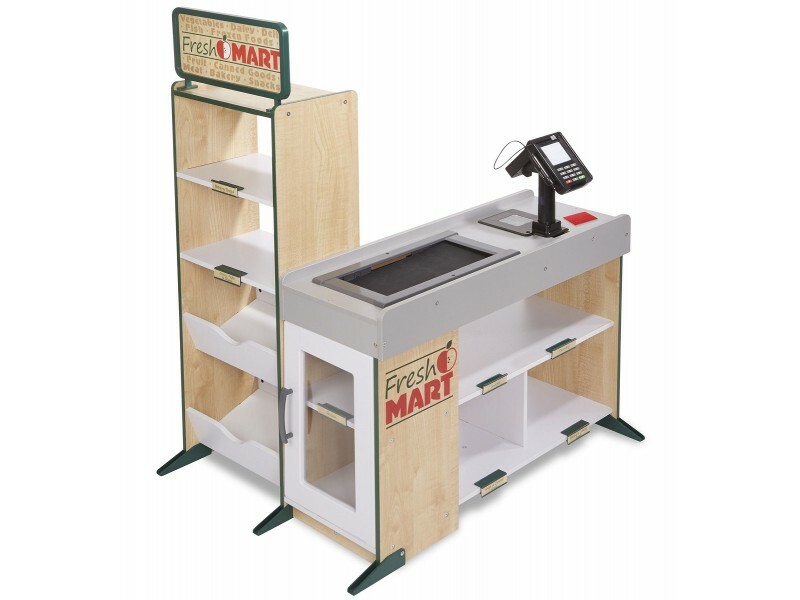 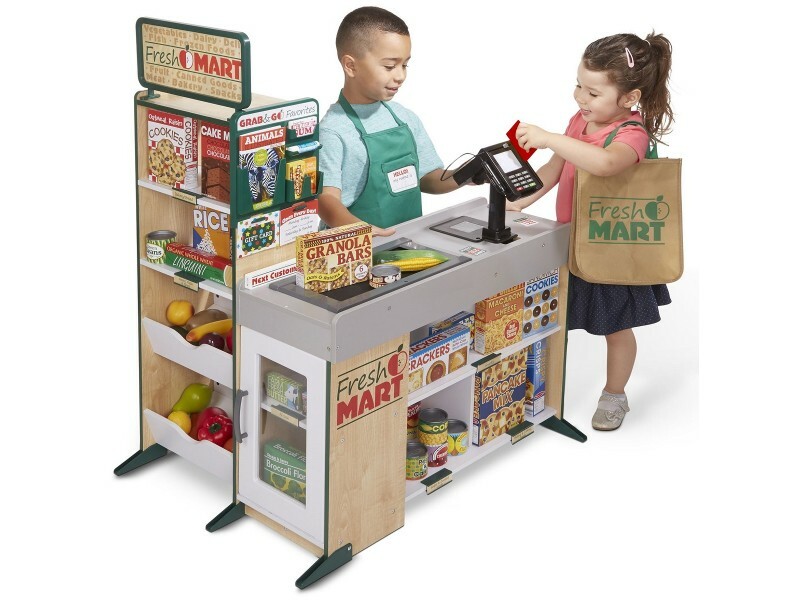 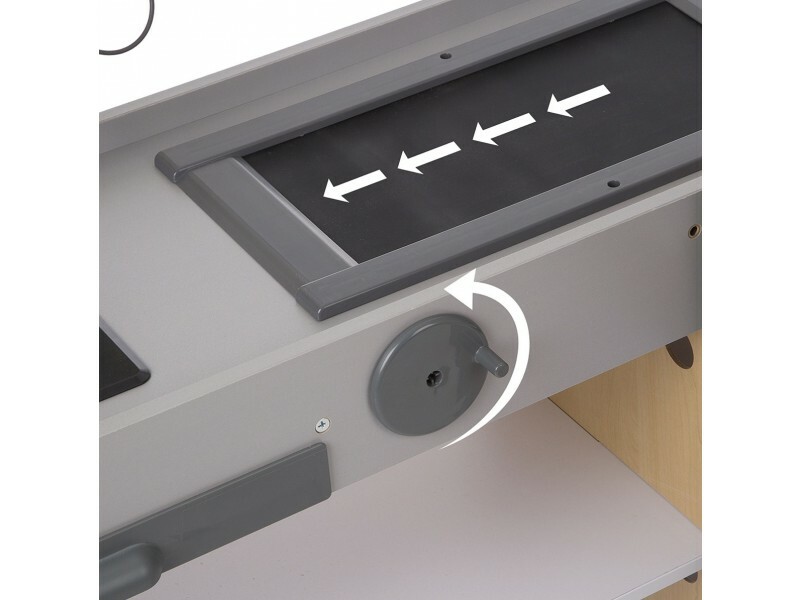 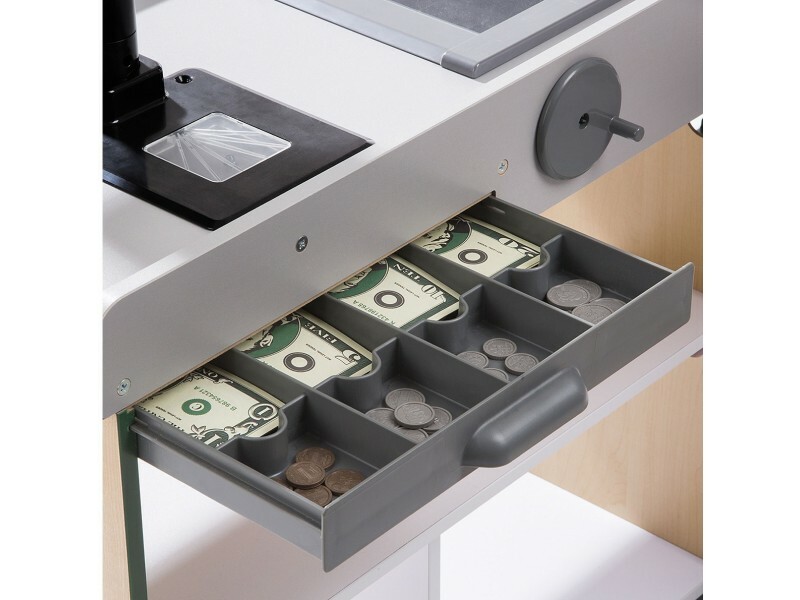 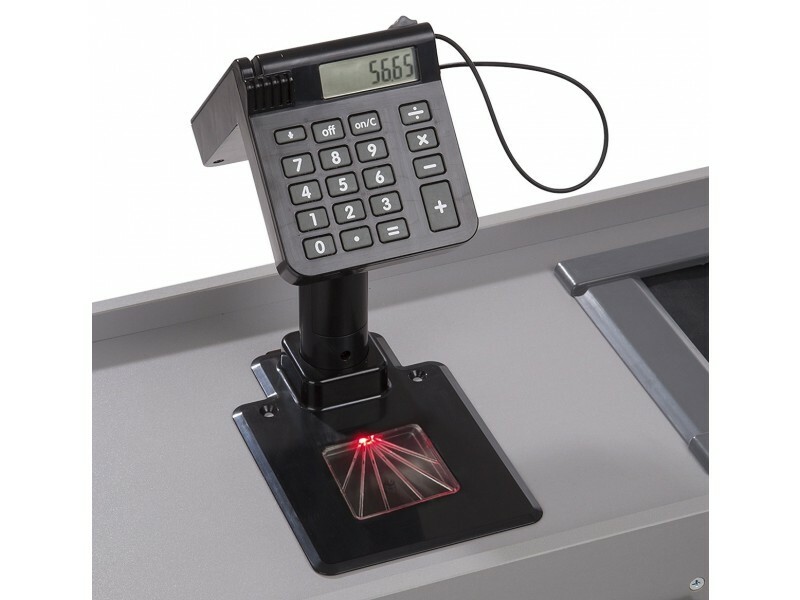 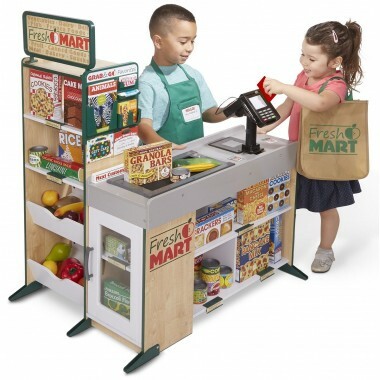 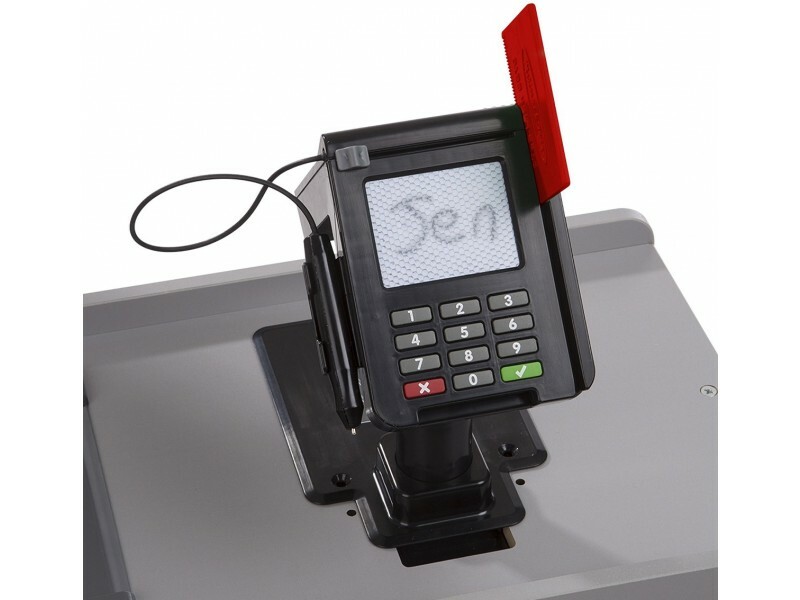 The Fresh Mart Grocery Shop features lots of shelves for play groceries, smooth curved corners, beeping scanner, hand turned conveyor belt, card swiping machine, keypad/calculator and a cash drawer. 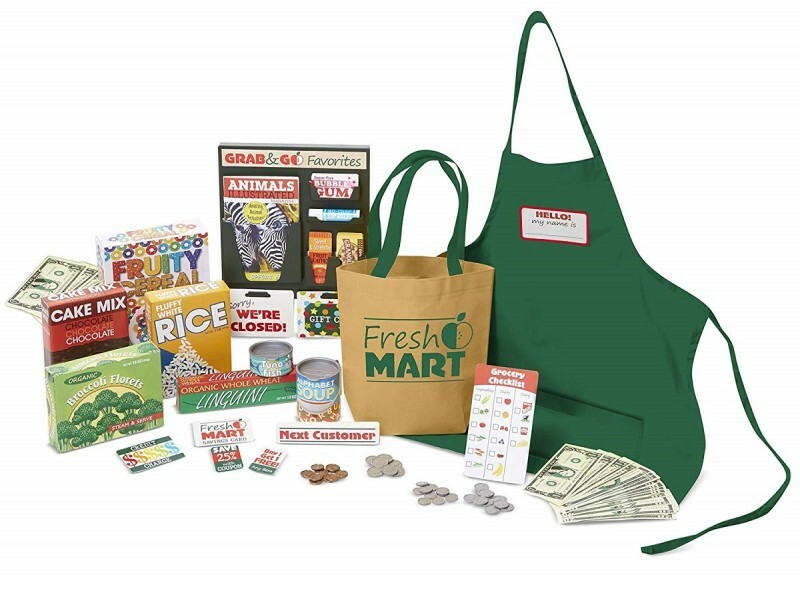 The 70 piece accessory set include an apron, a cloth shopping bag, a fully stocked grab-and-go rack designed to hang on the grocery store shelf which holds gum, lip balm, granola bar, gift cards, signs and a magazine. 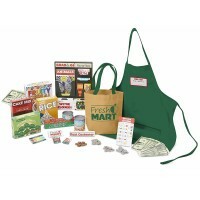 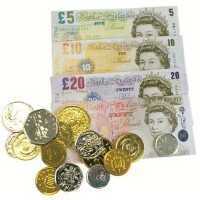 Also included are play money, cards, coupons, grocery boxes and tins! 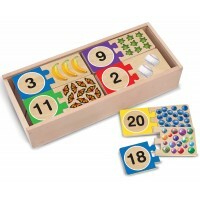 PLEASE NOTE: Some of the play food shown in the main picture such as wooden fruit and vegetables and some of the tins and boxes are not included in this bundle but are available separately. 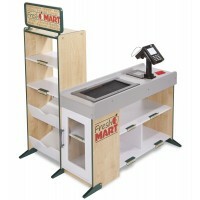 Supplied flat packed for simple home assembly.